Where Did the Due on Sale Clause Dilemma Come From? The homeowners fought the banks in court claiming that the enforcement of the due on sale was “unfair trade practice” and an “unreasonable restraint on the alienation of property.” In state courts, many homeowners were winning the argument. See, e.g., Wellenkamp v. Bank of America, 21 Cal 3d 943 (1978). The banks ultimately won in a United States Supreme Court case, Fidelity Federal Savings and Loan Association v. de la Cuesta, 102 S.Ct. 3014, (1982). Congress thereafter passed the “Garn-St. Germain Federal Depositary Institutions Act” (12 U.S.C. 1701-j) which codified the enforceability of the due on sale clause, despite state statute or case law to the contrary. 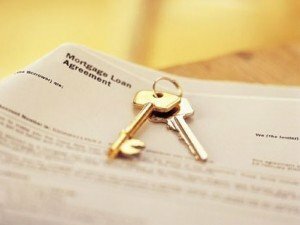 Many people are under the mistaken impression that transferring title to a property secured by a mortgage with a due on sale clause is illegal. This is because most lay people confuse civil liability with criminal liability. To be “illegal,” you must be in violation of a criminal law, code or statute. There is no federal or state law which makes it a crime to violate a due on sale clause. If the lender discovers the transfer, it may at its option, call the loan due and payable. If it cannot be paid, the lender has the option of commencing foreclosure proceedings. So the real question is: are you willing to take a property subject to a mortgage containing a due on sale clause with the risk of getting caught? From a legal standpoint, a real estate agent who does not disclose the transfer to the lender has committed no breach of ethics. In fact, some of the standard contracts approved by the California Association of Realtors contain provisions contemplating a “subject to” transfer (see, e.g., form LRO-14, Residential Lease with Purchase Option). The Offical Utah Division of Real Estate forms also contain provisions for transfers in the face of a due on sale provision. Form 3248, the “official” real estate contract used by New York Attorneys (jointly prepared by the New York State Bar Association, the New York State Land Title Association), contains a specific paragraph contemplating the buyer taking “subject to” and existing mortgage. There is a law in MI (Sec 445.1628) that does make it a crime for a licensed agent to help someone evade a due on sale, but it only applies to the long-gone “window period” loans (originated between January 5, 1977, and ending on October 15, 1982). The state bars have no problem with lawyers helping clients conceal a transfer either. In Matter of Sabato, 560 N.E.2d 62 (Ind. 1990), the court found no ethical problem with an attorney helping a client circumvent a due on sale provision. Thus, if it is not illegal or fraud for an attorney or broker to conceal a transfer of ownership, it is certainly not for a lay person. It is not a bad idea, however, for any party or real estate agent to disclose the existence of a due on sale clause to all parties involved in the transaction so that they are aware of the risk. Utah Rule R162-6.2.14 states “Real estate licensees have an affirmative duty to disclose in writing to buyer and sellers the existence or possible esistence of a “due on sale” clause in an underlying encumbrance on real property, and the potential consequences of selling or purchasing a property without obtaining the authorization of the holder of the underlying encumbrance” (note that the rule does not prohibit such transactions). In Ethics Opinion No. 96-2, the Alaska Bar ruled that an attorney has no duty to disclose the existence or the implications of a due on sale to parties to a transaction whom he was not representing (personally, I disagree with this ruling; I think an attorney should disclose, even if it runs him the risk of giving out unsolicited legal advice). It is a bit of stretch to apply this law to concealing a transfer that triggers a due on sale clause. Taken to its illogical extreme, this statute could land you in jail for saying “I’m next” while on line at the post office when you really aren’t. In fact, criminal statutes are always narrowly construed to protect the rights of citizens. 18 U.S.C. Sec. 1010 makes it a crime to make any false statement in regard to a loan insured by HUD. This law has been used to prosecute borrowers and their brokers who lie on their loan applications or “fudge” down payments for FHA loans. It has never been used to prosecute due on sale violators. In fact, the HUD-1 Settlement Statement (lines 203 and 503) that is used for virtually every loan closing has a blank which states, “loans taken subject to.” How could a HUD-promulgated closing form contain such a blank if it were a crime to take property subject to an existing loan? Remember that the due on sale is triggered by “transfers” other than a deed. A lease of three years or more or a lease with option to purchase (of any term) also gives the lender the option to call the loan due. Real estate agents routinely engage in lease/option transactions, and generally make the lease/option a compensable part of their listing agreements. In fact, REALTOR.com, the official website for the National Association of Real Estate Investors, contains thousands of listings for properties available by lease/option terms. It would be fair to assume that the large majority of these properties have underlying loans that would be triggered by the seller engaging in a lease/option transaction. Thus, if a lease with option triggers the due on sale, and real estate agents assist sellers in doing lease/options, then wouldn’t hundreds of thousands of agents (as well as REALTOR.com) be engaging in fraudulent transactions? To take it one step further, consider that major title companies routinely assist in closing “wraparound” transactions that also trigger due on sale clauses on underlying loans. So, these companies, their employees and their attorneys would also be guilty of conspiracy to commit fraud. Furthermore, attorneys, escrow agents and other parties to a transaction would also be guilty of conspiracy to commit fraud. In theory, a lender could sue you, the buyer for fraud. In one such case, Medovoi v. American Savings & Loan, 89 Cal.App.3d 875 (1979) the court declared a lender could not sue the buyer for fraud for deliberately concealing a transfer, since he has no legal obligation to tell the lender of the transfer. Another theory is called “tortious interference with contract”, that is, inducing the seller/borrower to breach his mortgage agreement. Oddly enough, I did find one reported case in which the lender tried to make such an argument: Community Title Co v. Roosevelt Savings & Loan 670 S.W.2d 895 (Mo.App. 1984). In that case, a lender (Roosevelt Savings) sued a title company (Community Title) that advocated, educated and performed closings using a contract-for-deed. Some of the properties were encumbered by Roosevelt’s mortgages, which contained due on sale provisions. The lender claimed that Community Title’s actions “tortiously” interfered with the borrower’s contractual obligation to Roosevelt. Roosevelt lost the case. The court correctly reasoned that the title company was not liable, since the borrowers could have found some other means of violating the due on sale. In legal terms, there was no “but for” causation. The court noted that the lender could not prove that in a financially-distressed situation, the borrower was likely to pay off his mortgage in full rather than simply default . That’s the reality of the business – why would someone hand you a deed subject to his mortgage if he could simple sell the property for all cash and pay off his loan?The reality is, a seller who does hand you over his property is out of options! Attorney Robert Bruss, a well-respected nationally syndicated real estate columnist, advocates the practice transferring properties “subject-to” existing loans without notifying the lender. In his 1998 article, “Nothing Down Home Purchases,” Bruss says, “I buy subject to the existing mortgage and do not notify the lender of my purchase . . . In today’s market . . . a lender would be crazy to push the issue and put the loan into default.” In his article, “The Six Pillars of Assumption,” he advocates the use of a land trust to avoid alerting the lender. The legal risk was addressed above, but what is the practical risk? That is, what is the real risk of the lender calling in the loan? Nowadays, the risk is pretty slim. So long as the interest rate on the existing loan is within a few percent of market interest rates, the lender is not likely to accelerate a performing loan. The reason is simply profit; it costs money in legal fees to foreclose a mortgage, and the lender would rather get paid than have another non-performing loan on its books. Of course, if interest rates rose dramatically, lenders may start enforcing the due on sale clauses again. Interest rates don’t jump several points overnight, so pay attention to the market if you have several properties acquired in this fashion. Consider refinancing the loans or selling the properties if market interest rates move upward. If a lender knows or has reason to know of a transfer and they don’t push the issue, can they come back later? Maybe not. The equity principle of “laches” would apply, which essentially means that if you don’t enforce a right you have, you may lose the right to enforce it. For example, landlords who routinely accept late payments from tenants without charging a late fee that is permitted in the lease end up having the Judge later tell them in court that they can’t enforce it because they waited too long. Likewise, a lender may lost its right to enforce the due on sale clause, particularly since the clause usually does not automatically make the loan due, it’s the lender’s OPTION to call it due. However, since there’s no specific time period in which laches applies in this scenario, it’s up to the judgment of the court. Court cases have gone both ways. In short, if you understand the risks involved and you have a solution if the lender enforces the due on sale clause, it can be a very creative way to buy and sell real estate. Of course, you should consult with a qualified attorney who can advise you as to the proper drafting of a contract or transaction that deals appropriately with the issue, as well as contains the appropriate disclosures to buyer and seller.